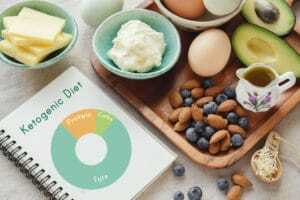 Many people in the medical community have been studying and discussing the advantages of the ketogenic diet for many years, yet we find that the public often doesn’t know as much as they could. Today we’re here to answer some of your best frequently asked questions about the ketogenic diet. If you still have questions, or for a personalized whole health consultation, reach out to Rancho Wellness at 909-483-7800. Of course, the most frequently asked question about ketosis is what it is and how it works. In short, it’s a state that the human body goes into if it doesn’t eat carbs. It’s a way to encourage the body to use up body fat for energy. Some studies have shown that it’s more efficient for our brains as well. It works because ketosis tells our livers to break down fat into ketones, and they provide the energy the body needs. The best way to get into ketosis quickly is to exercise on an empty stomach. You can also do it by eating less than 20 grams of carbs per day and ensuring that you’re getting plenty of water. Is it necessary to count calories on a ketogenic diet? Yes and no. The truth is that calories will always be relevant. The simple equation that affects your weight is this: The number of calories that you eat divided by the number of calories that you burn off. There are other issues that can affect weight loss and gain, including metabolism, sensitivities to certain foods, and various endocrine disorders. You do need to eat fewer calories than you burn to lose weight. That said, when you’re following a ketogenic diet, the fats and proteins you’ll eat will fill you up easily. This allows you to feel full longer, which means that it’s less likely you’ll be hungry. In short, most people on a ketogenic diet may count calories at first but find that as they adjust to the new way of eating, it’s no longer necessary to do so. Do you still have questions about this and other diets? If you have questions about the ketogenic diet – or other weight loss and health options – don’t hesitate to reach out to Rancho Wellness at 909-483-7800. We are here to help assess your current health, consider your long-term goals, and provide a clear and focused approach to get there. Today is the day to finally invest in your health.